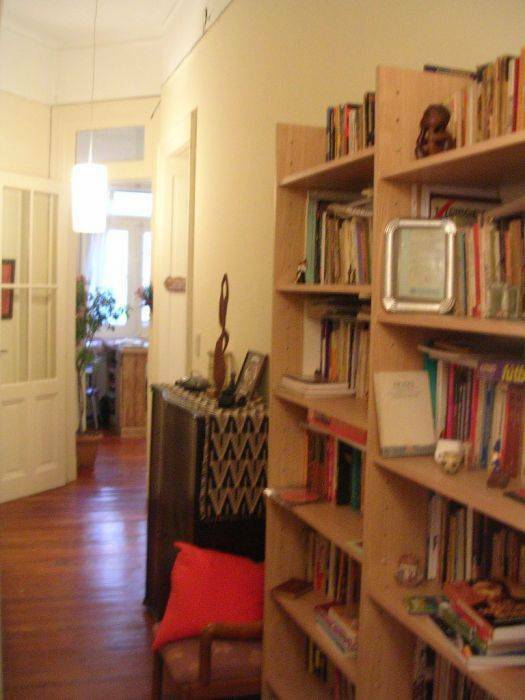 Che Telmo is the best B & B located in the safest neighborhoods in Buenos Aires, San Telmo. Has the means of transport to all points of the city to satisfy the curiosity of the host, is close to most tourist attractions to visit and walk the remaining few meters in a short journey by bus or metro. There are 25 bus lines and 3 metro headers. The service is provided exclusively by their owners. 5 private rooms decorated with themes of the most famous characters in Argentina. Spacious and comfortable, completely equipped with floors pinotea, placares and large windows with excellent natural lighting, good ventilation to the 4 winds and air conditioning (cold - heat). Two bathrooms for winter heating. good times in Buenos Aires. We offer you the opportunity to join a new concept of hospitality, combining lodging and services according to customer preferences and achieve greater satisfaction. Room 1 Tango: there is comfortable sommiers of 2 places reason why single to USD 30 per night can be reserved in pair to the cost of USD 22 per night by person or in form. Individual cold-heat has conditioned air. Placard of two doors and two drawers. Approximate measures 3. 30 2. 50 xs mts. = 8. 25 m2 Room 2 Carlos Gardel measured approximate 3 3. 50 xs mts Ideal for the comfort of two people with also comfortable sommiers of 2 places reason why can be reserved in pair to the cost of USD 22 per night by person or in form single to USD 30 per night. 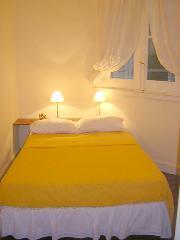 Sommiers can be replaced by 2 individual beds at the cost of U$S 22 per night by person. Conditioned air individual cold-heat. Locker of style of two doors with keys and 6 drawers. Room 3 Evita: Approximate measures 4 3. 50 xs mts. It is a triple room, with 3 individual beds or one married and one individual one; its cost is USD 20 per night by person. Locker of carved style, oval mirror bevels of 4 doors with keys and two drawers. Room 4 the Che: Approximate measures 4 xs 4. 40 Of quadruple capacity, with 4 individual beds or one married one and up to three individual ones; its cost is USD 18 per night by person bases quadruple and U$S 15 per night and person bases quintuple. Cold conditioned air individual. Safe-deposit box. Placard of two plants of 8 doors with inner keys and 4 drawers. Room 5 Diego Maradona: approximate surface 9. 5 mts squared. It has comforts for two individual beds, is located in an exclusive sector of the house, is arrived at him through a flowery and sunny runner, with a deprived complete bath outside the room. It is possible to be reserved in double to the cost of USD 22 per night by person or in individual form to USD 30 per night. Conditioned air individual cold-heat. Portable tender of style modern vestidor type of loft, allows to see the totality of the exhibited clothes. Desayunador: in height with good ventilation to 2 apple lungs with view to green plants of station, capacity 8 people. House of Computer science: Site deprived with connected computer to Internet of high speed with Skipe for calls free to all parts. It is a separated place that allows reserve exceeds what it operates in the PC. 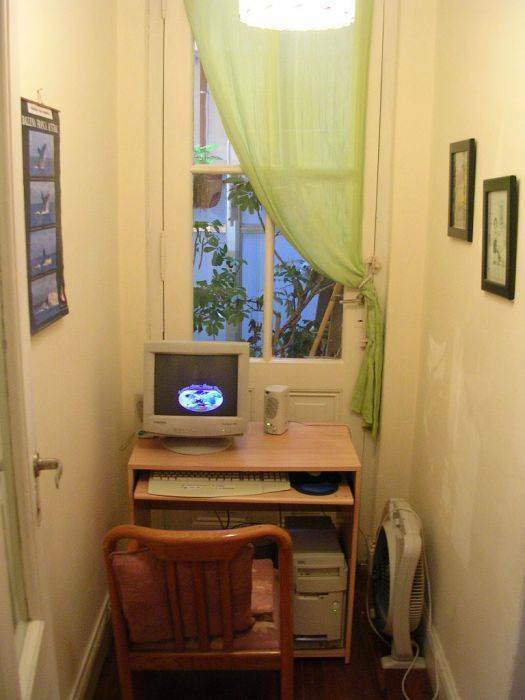 The house also has Wi Fi, so that you use your own notebook. you bring if it. A/C climate control Bidet Clock radio Coffee/tea maker Equipped with modern kitchen and breakfast area Fax service Fireplace (gas) Hairdryer Internet access Keyless entry Kitchenettes Non-smoking rooms Refrigerator Shared bathroom Skip. Daily fourth Smoking rooms Telephone Television Television (cable/satellite) Toiletries complimentary VCR/DVD Video and DVD. Two compartments with private PC Wake-up calls Wi-Fi cable TV free Internet freezer full crockery. Living room with library microwave provision of bed linen refrigerator towels and bathroom amenities. Free infusions 24-hour . 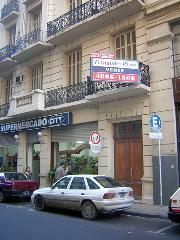 ALSINA 492 PISO 3º - DEPTO "C"
From Ezeiza Airport can be reached by taxi or bus lines 8, 86 or Manuel Tienda Leon (one of the companies that take you to the center of town Retiro). The metro stations closest to us are Cathedral (líneaD header), Plaza de Mayo (header line), Bolivar (header line E) and (Moreno station line C). 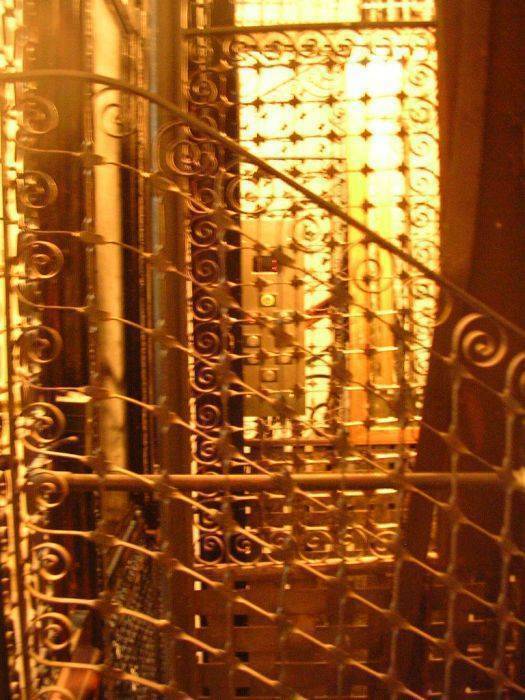 We are located 20 meters from the Manzana de las Luces (Colegio Nacional Buenos Aires, Iglesia San Ignacio, tunnels of the Old City Museum), 100 meters of the Town, 100 meters from the Plaza de Mayo, at 200 meters de la Casa Rosada, 200 meters from the Cathedral (which are deposited the remains of Gen. San Martin), 900 meters from Plaza Dorrego, we are on the way from the Antiques Fair in San Telmo (Calle Defensa), 200 meters Church of Santo Domingo (which are deposited the remains of General Belgrano), 200 meters from the Avenida de Mayo and the birth of the Florida Street, 80 meters from the Basilica of San Francisco in the same block of the Museum of city, 400 meters from Puerto Madero, 500 meters from the Avenida 9 de Julio, 700 meters from the Obelisk, 500 meters from Calle Corrientes, 600 meters from the building of the Ministry of Social Action where Evita made her famous renunciation of the August 22, 800 meters from where she had the opportunity Courts Site Revolution in the Park or 90 giving birth to the UCR and the Progressive Democracy. 700 meters from the Central Mail building, 800 meters from Luna Park, a 5 "of Boca (Caminito and Boca stadium), 10" of Palermo, Recoleta and Abasto, 1200 meters of Galerias Pacifico. 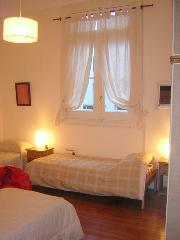 30 minutes by highway from the airport of Ezeiza, 10 minutes from airport and 5 minutes from the bus terminal in Retiro.